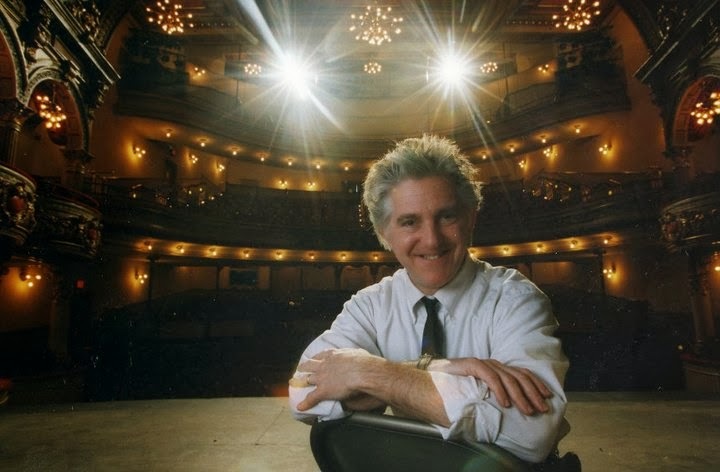 Hopkins Theatre-in-English Workshop: Barry Kornhauser: theater for "marginalized, disadvantaged, at-risk teens.."
Barry Kornhauser: theater for "marginalized, disadvantaged, at-risk teens.."
That’s a good one! But tell me this: what led you into the labyrinth of theater? I did not come to it early, having had few positive theatrical experiences where I grew up in urban New Jersey. In fact, my school mates and I were such bad audiences when taken to a student matinee of a play that we were effectively banned from most East Coast theaters for years. It wasn’t until I was a junior in high school during the Vietnam War era and was taken to a production of Henry V at Stratford in Connecticut that was staged brilliantly as an anti-war piece that I realized the potential power of the art to transform lives and the excitement possible in its presentation. Interestingly, that play was directed by a young man named Michael Kahn who went on to become the Artistic Director of the Tony Award-winning Shakespeare Theater in Washington, DC. And some 30 years after my being so deeply touched by his Henry V, he chose to direct my adaptation of CYRANO DE BERGEAC at The Shakespeare Theater. The production went on to sweep the Helen Hayes Awards that year, winning both Best Play but also Best Director for Michael, so I felt in some small strange way I finally got to thank him for drawing me to theater. What is theater for you and what tendency or school of acting do you prefer? Oscar Wilde once wrote: “The stage is not merely the meeting place of all the arts, but is also the return of art to life.” I think that beautifully captures what theater means to me, a place where all of the arts come together to explore humanity, and because it is live and visceral, when well done it can touch our lives like no other art form. I am not an actor myself, but I do like another quote made years ago by an American politician. He wrote: “I am a man of fixed and unbending principles, and my first fixed and unbending principal is to remain flexible at all times.” I believe this applies to schools of acting as much as anything else. I would say you should use whatever works for you, being flexible enough to take avail of practices from different approaches for different times and circumstances. A little bit of this, a little bit of that—good ingredients for cooking up a tasty character. But don’t forget that people living with disabilities have so much to offer the arts. Because they are often compelled to live creative lives every day just to do what non-disabled people consider routine, folks with disabilities have a great deal to bring to the artistic table. By welcoming to that table, we enhance and enrich the art we present. Could you describe your own work with young people of diverse backgrounds and nationalities? More than 25 years ago I founded and still direct a youth theater program comprised of marginalized, disadvantaged, at-risk teens and those living with physical, sensory, and/or cognitive disabilities. They are referred to the program from juvenile probation offices, psychiatric hospitals, drug and alcohol centers, homeless shelters, refugee organizations, and school counselors. They create and perform original dramatic work based on social justice themes that have impacted their lives or that of their peers globally. The program has received numerous grants including from the National Endownment for the Arts and has been honored at the White House by the President’s Committee on the Arts & Humanities. Now working at Millersville University in Lancaster, Pennsylvania, we have begun to build more such arts programming—both performing and visual—for underserved people of all ages in our community. All great fodder for art. Why on earth would we want to limit our stage vocabulary to the spoken work—whatever the language? We know from Howard Gardner’s Multiple Intelligences notion, that we all learn differently, so why not present our work in multiple “languages”—not just text but through movement and image. Differing social, cultural and political contexts only compound the need to reach out artistically in many diverse ways. Racism and discrimination of diverse sorts are latent points of tension in society, as A. Boal suggests. Do you believe that these and other social problems can be understood more profoundly by means of role play and eventually contact with an audience incorporated actively into the creative process? Totally. I can think of no better way to examine such issues and to transform thinking about them than through some of the Theater of the Oppressed techniques developed by Boal, and certainly a good part of what makes that work such a potentially powerful driver of social change is the active involvement of the “audience” in the creative process. His use of the “spectactor” rather than just the “spectator” makes all the difference for is it not indeed true that we learn best by doing, not just watching or listening. In Lancaster and in the U.S.A. today are there any exciting vanguard movements? Is theater and art perceived as a refuge to the finalcial crisis and the twitchings of the consumer society? For a mid-sized city, Lancaster has a remarkably large arts community. There is a clear recognition that arts programming does indeed serve as a financial driver bringing more people to the area and improving everyone’s quality of life. It’s exciting to live in a place this size that gets it! And what is nice about its size is that there are 100 + arts venues all within walking distance and artists know each other and can and do work together creating some exciting projects such as an event called “36 Dramatic Situations” in which a dozen different artists and arts organizations collaborated to create an evening of five minute pieces each in their own art form around an exhibit of themed art work by a local visual artist, a three-year project. Lancaster City is the home of three performing arts centers as well as theaters, galleries, etc. and the Pennsylvania College of Art & Design as well as Franklin & Marshall College and Millersville University. The city just hosted its first national Roots & Blues Music Festival and more such events occur more and more regularly. It is also the home of the Poetry Path, an art installation project all over the city combining poetry and visual art works. That’s just the tip of the iceberg. Are there any groups doing theatrical activities in other languages in Lancaster or in the country? Certainly in the country. Just a peek at the pages of AMERICAN THEATRE Magazine will give one an idea of the breadth and depth of the multiculturalism in America’s theater community. Not so much in Lancaster as of yet. While the city itself is more than 38% Latino, there is not a dedicated Spanish language theater. The same is true for the newer immigrant groups from Asia and Africa who are just getting a footing in this community. That said, here at Millersville University we are presenting bi-lingual and Spanish-speaking artists for audiences of all ages. In fact, in a few weeks the 3rd annual Latino Arts Festival will be held here and in mid- April a Mexican theater company will come to Lancaster. This is Sena y Verbo Teatro de Sordos, which is an inclusive ensemble compromised of both hearing and deaf actors. So not only will we be hearing some Spanish, we’ll also be seing some Mexican Sign Language. Aside from your work at Millersville do you have any projects or plans for the near future? Millersville is keeping me happily busy with many University arts programs that are quite exciting. Outside of that I’m currently working on two play commissions—one for the Children’s Theatre Company of Minneapolis, America’s flagship theater for young audiences program and a Tony Award-winning regional theater itself. That play, BALLOONACY, is designed for early learners, preschool-aged children and it will premiere in late March. The other is for a theater in Pittsburgh. That is an adaptation of the award-winning Holocaust novel THE DEVIL’S ARITHMETIC. Before its premiere in May we will actually be doing a staged reading of excerpts from the script at Millersville University’s biennial National Holocaust & Genocide Conference in early April with university student actors. Beyond that I need to clean the gutters on my roof and paint a bathroom!